But Clowney isn’t the anchor of the Texans pass rush. That would be J.J. Watt, whom I regret to say was as good as ever this year after missing most of the last two years with injuries. Watt had 16 sacks and a career-high seven forced fumbles this year; in two regular-season games against the Colts, he had three sacks and forced two fumbles. Yesterday, though, playing mostly against rookie right tackle Braden Smith—who didn’t even play tackle in college—Watt was mostly bottled up. The Texans didn’t sack Andrew Luck once, and Watt’s only contribution on the stat sheet was two tipped passes. This is what the Colts have done all year; they’ve been so good that the Texans actually pressured Luck at an above-average rate. And their run-blocking was excellent as well. The Texans had the NFL’s best run defense by DVOA, yards per carry, and first down rate. 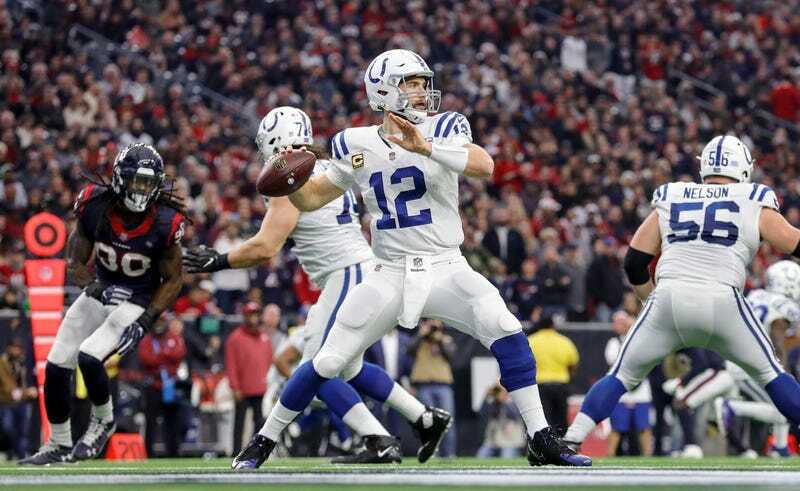 They mostly shut down the Colts run game in their two regular season matchups, holding them to a total of 91 yards on the ground across two games. But Marlon Mack alone went for 148 yards and a touchdown, and the Colts ran for 200 yards in all. The Texans only allowed three runs of 20 yards or longer all season; Mack equaled that yesterday with carries that went for 29, 25, and 26 yards. 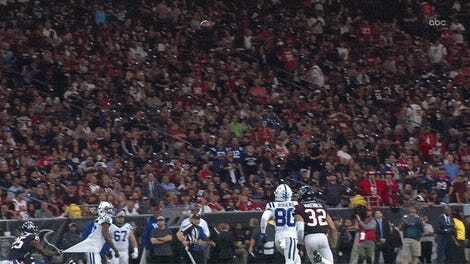 His touchdown was emblematic of how things went: In the highest-pressure situation, with maybe six or seven Texans rushing, they weren’t really able to get near him. In less than a year, the Colts’ line went from franchise-wrecking to one of the best units in football. If this is what they did against the Texans, the Chiefs—who by at least two metrics have by far the worst rushing defense in the game—better hope they can win in a shootout next week.